Undoubtedly Sheffield were the biggest razor makers at the beginning of the 20th century. There were a great deal of brands from the region, Like J. Knowles, Joseph Rodgers, and Joseph Allen. These were some of the big names at the time. The 1920’s were there golden age of shaving, which became a daily routine after the first world war. Due to the use of a gas mask’s. Each of the say 50 Sheffield razor companies did not cut the blade blanks themselves. They would have commissioned larger companies like the three above to make there designs and sometimes rebrand. Which is what English companies in all field’s now do with Chinese manufacturers, not Just in traditional shaving. In the 1940’s there was not just a war in the streets, beaches and field’s. But also one in the razor workshops between England and Germany.We could not compete with the low price of competition of straight razor sales from the Solingen companies and comissioned them to make our razor’s, who in turn it is thought they were outsourcing to Asian Industry even then. 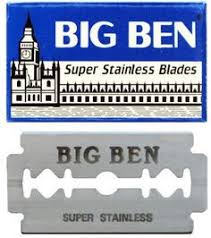 There are British traditional shaving companies which have sold there brand name of relative recence, for example the the Double edged blade company Wilkinson sword has been bought by an Egyptian company, and all of the old machinery has been shipped to Cairo. A long with Lord, Big ben and Crown. The super giants Gillette also buy up smaller obscure shaving companies like Vodsok the Russian brand in order to maintain the Image of a smaller company In order to sell razor as some prefer to not buy from conglomerates. Tescos supermarket also do this they buy small twee business and don’t advertise there presence. For example Giraffe is owned by them. A review from Film director Joe Vickers. Zues beard oil, is by far the most superior beard oil I have used. The bottle looks very cool, and that’s just the start. I only usually apply it once a day, sometimes a second for those long days out in the rain, and it keeps my beard whatever length feeling smooth and structured even if my day isn’t. The smell is amazing and I’m definitely gonna try the other flavour’s when this one runs out, although that may not be for a while! The Safety razor first hit the market in late victorian times but were made readily available by the shaving super giant Gillette in the first world war for reasons of safety. The gas mask would be a tighter fit if the wearer did not have a ridiculous moustache and a tighter fit would mean less mustard gas in the lungs. It is, as simple as that. The safety razor of that time was relatively flat, wide headed and had a comb head, presumably to take off these massive tashes. 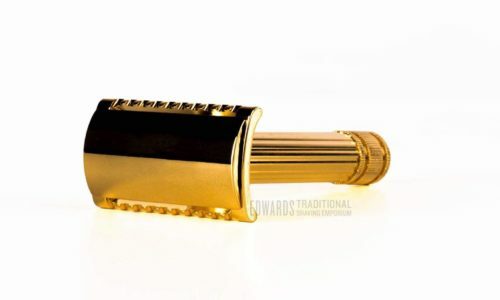 Unlike the one size fits all catridge razor culture of today, the safety razor nowhere days has several categories, Mild aggressive, Mid aggressive and aggressive and there are variations within these categories for example the comb length width, the head size ect. I bought my first razor for the look, which was a near fatal error as i clutched my blood pouring neck from a bath shaving session with my R41 Muhle being one of the harshest razors on the market, I dove for the alum and ploughed it into the blackening cut saving me a trip to hospital. Alum is great stuff or styptic. The R41 is for the Irregular shaver who has a coarse beard. Now I am an everyday or near too shaver, with middle growth, I have given myself a Fatip Gentile it looks great, I gave myself the gold one for bling factor , It is a non aggressive razor for me this is a great everyday razor it ploughs through short hair and will not give me any problems doing so I would recommend them to any beginner or everday shaver. See link for more about the Fatip Gentila. Hawkins and Brimble were founded in 2016 and have a had a relatively successful punt. There cosmetic products are free of Parabens and Sls foaming agents, there are no colourants or Alcohol and aren’t animal tested. They do contain natural oils like argon and almond cocoa seed butter and an array of vitamins attributed from this. It smells excellent it has a kind of bubblegum scent which comes from the Elemi and Ginseng which are it’s flavour components. Elemi is a Philippine tree sap that is lemon scented on research it was probably chosen because it naturally heals skin. Ginseng is a root it looks like a parsnip when dug up this is an earthly scent. It has been used in energy drinks in recent years it is also a great antitoxin unless you have too much apparently. The application due to no sls gave little lather to start. I had a hot wet brush and i circulated it in the tin but the magic happened when i rapidly circulated it on my face. there was a say 1.5 mm layer on my face but what was there really held. unlike other shave creams the lather was not abundant but it was ample for a really great shave. There was a little razor burn on my throat nonetheless it was defeated with a bit of moisturizer. My face feels great and glowing with health from the oils. This is good stuff at £12 a tin. I am a man who enjoy’s a process a preparation and a routine. I also enjoy high end quality products. The start of the twentieth century was a testament to this. People bought to last and if you bought a mahogany shoe box it would be in your Interest to keep this. The reason brick and brack and antiques shops are so popular even just to browse, is the multitude of unusual hand made pieces that have gone relatively undocumented. For example I was in a retro/vintage shop in Greenwich where i found a silver calendar note book which had the buttons with the months listed down the side. Now if you were to press a said button the first page of that month would fly open. I found this remarkable. Today’s consumer living has taken these item’s from us, much to do with the digital cadgets locked to our finger twitching and googling and listening. Will you find your Iphone 7 in a vintage shop in 70 year’s time? No it will be binned or taken sent to some dubious sell your old phones company.Online living has affected shaving culture as well with companies like the one dollar shave club. Being a patent lie, as it really cost around a tenner a month. There is only convenience here my mahogany shoe box is awkward, it takes up space but by flaming heck,it will be given to my grandson. Traditional shaving is representative of the old school. I look Upon my array of chrome and high end acrylic safety razor’s or straight razor with a voyeuristic smugness as I select my tool of choice and endulge in the process yet again. I throw my shaving brush in the hot sink and and submerge my face. Selecting a high end shaving cream or shaving soap. I look at myself in the mirror with a nostalgic pride and begin. From 2011 there has been a noticeable resurgence in traditional shaving, in Britain. Also for traditional barbering services like the wet shave. The wet shave has changed over the years for one simple factor being the tool changing from the trusted straight razor, to the shavette for health and safety reasoning. Mainly due to the rise of A.I.D.S in the 1970’s and knowledge of other blood born virus. The shavette was introduced as it has disposable blades which legally have to be changed for every customer and the handle to be submerged in barbicide. 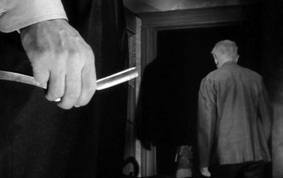 This new method made the old trusty straight razors illegal to use on the public. with the correct care and maintenance a straight razor is safe but I can understand the change in protocol. Sadly the quality of shaves have suffered due to it. The shavettes flimsiness and lack of blade length makes it a more of a difficult tool to master. With the new craze of professional wet shaving, relatively Inexperienced barbers were given a crash course in using them and then for there services charging the public sometimes £50 a shave. Chins were cut, complaint’s were made and in some cases settlements were dealt. Some barbers took it off the menu as the reputations were being damaged profusely. This would have been limited with the trusty straight razor for it’s formidable sturdiness and length . Shaving should not be rushed, and it should not be taught to quickly, historically barbers were taught by there fathers from barbering families. This tradition is maintained in the London’s Turkish and Italian barbers, who yes use shavettes but with what seems to be an ancient skill. The Aloe Vera scent on Muhles cream is pretty potent and although it has been widely used In cosmetics, it is still one of the best natural substances for skin health. It contains the hormone auxin which stops inflammation of the skin and encourages new cell growth. Which are two key attributes to a great shaving cream. I generally use shaving soap as it tends to last longer, but I perhaps pay the price for lack of lather. which cream is superior. The Muhle shave creams iridescent look, really packs a wallop in terms of lather applied via a hot sink and brush. I find the amount of water is key on the brush for success though saturation but not furiously dripping. The cream holds. It has been said that a good shaving cream should stay full on your face from application. For you to take an average length phone call and return to have an excellent shave. I didn’t try this but I was certainly happy with the creams stability. The shave was very smooth also and clung necessarily to any stubborn hair. I have been looking forward to trying the Gentila, due to personally only shaving with mid aggressive razor models. For example. Edwin Jagger, Muhle and most Merkurs. The Fatip is certainly non aggressive hense it’s name. Now It’s not that i don’t have man level facial hair no, but I do have a rather long Gregory Peck, which is as hairy as my face. This often creates shaving nicks around my my throat and Adams apple, If i use a more aggressive end scale razor. Funnily, I digress. Not if i was to use a straight razor, due to the extra long surface area the cut throat is a particularly easy razor style to shave with. The shavette is a different story though. which is what you will receive at a barber’s if you ask for a wet shave these day’s. The flimsiness of the blade often creates problems for the beginner barber. Firstly the aesthetic is great I like the traditional lines on the shaft and the gold plated stainless steel, makes the Gentile look as though it is a prop from the set of, The Godfather. By loading the blade I realised how well built the Fatip was, the screw mechanism feels sturdy and the blade sits in the two piece head without miss alignment. It is pretty short at 80mm and light at 66g. Some people prefer this for control, with the lines, I found I had to continually rinse the shaft to sustain a decent grip. Being the Gentila’s only flaw. The shave was close enough with just one pass for an acceptable shave and of course I have no Irritation or cuts afterwards. This Italian made razor is a steal at £32.00 It was great to use and looks amazing.